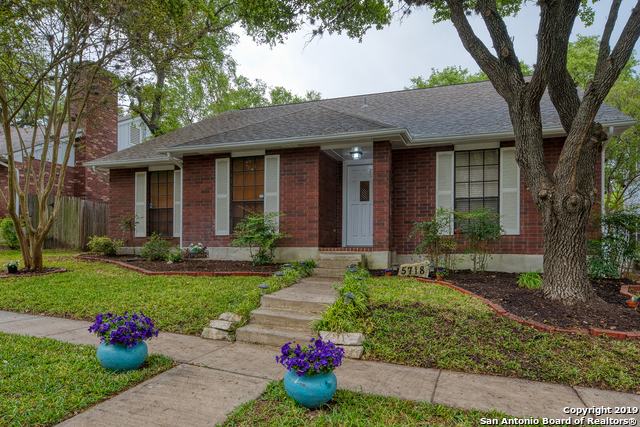 All WOODRIDGE homes currently listed for sale in San Antonio as of 04/26/2019 are shown below. You can change the search criteria at any time by pressing the 'Change Search' button below. "You are welcomed into this home with a fresh update. This single story home has 4 bedrooms and 2.5 baths. The kitchen has painted cabinets, granite counter tops, herringbone back splash and stainless steel appliances. A dedicated office was put in with french doors. Wood flooring was installed throughout the home. All the bathrooms have been given a face lift with tile flooring and granite counter tops. The home also sits on a quiet cul-de-sac street. Don't miss out on this one near USAA & Medic"